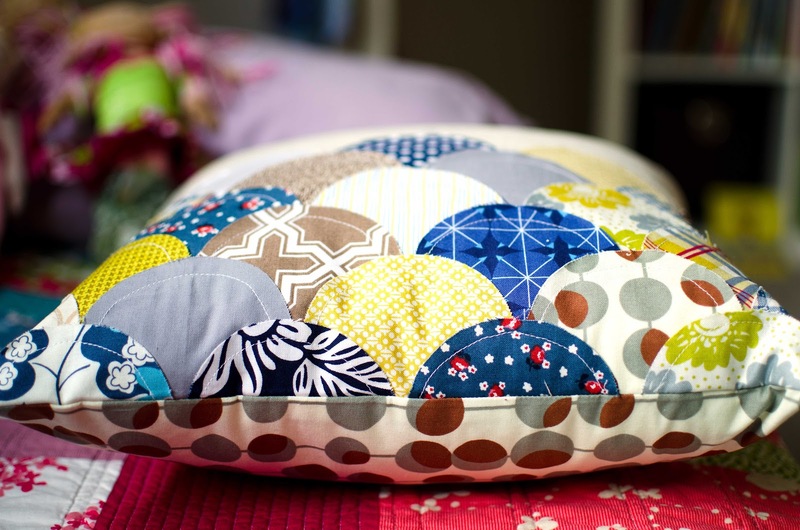 I am really happy with my pillow, flawed though it may be. I have been working on my Swoon quilt using Aunt Edna (by Denyse Schmidt for Joann's) and I had a few leftover squares that were just the right size so those prints were my starting point for picking fabrics. I also wanted the colors to be more "husband friendly" since for some reason he doesn't share my love of pink, orange, and aqua. 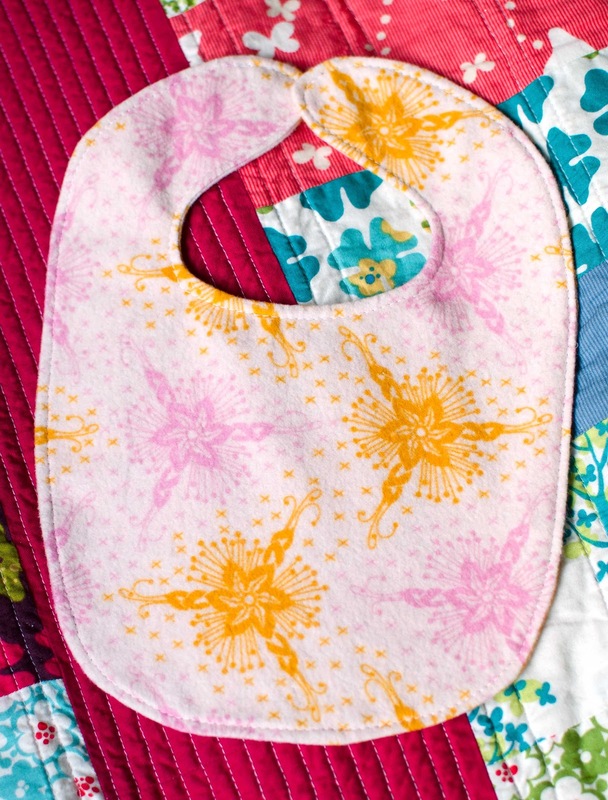 The Curves Class also had us make a baby bib - I used Anna Maria Horner flannel and it is so, so soft. I don't have a home for this bib yet so it will go into the future-baby-shower-gift box in my closet. My Heirloom greek cross quilt found a home this week. I was visiting with an older woman who lives nearby and thought she needed it, so we delivered it to her this afternoon and had a wonderful chat. 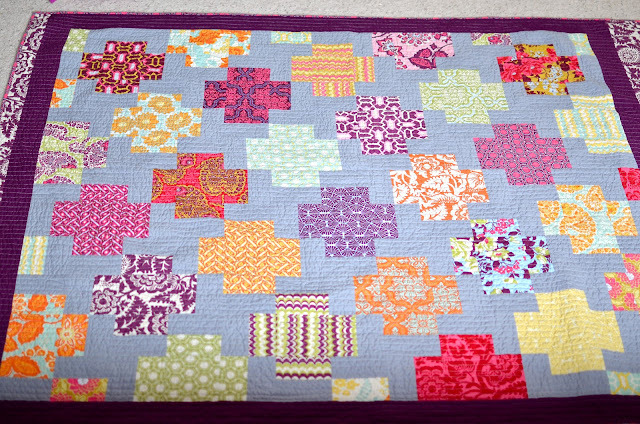 I love keeping quilts, but it is even more fun to give them away. Beautiful Greek cross quilt! Did you use a tutorial? Just wondering how you pieced it. What great projects to start your blog with! I always love seeing what you're up to! 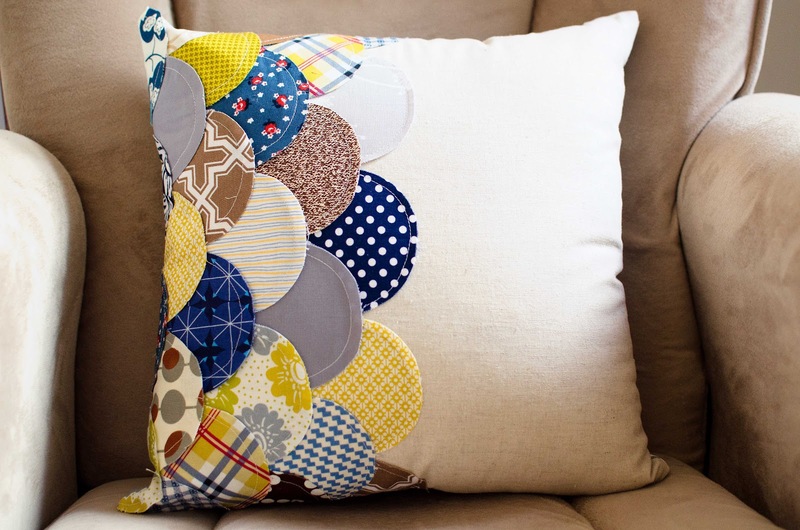 I enjoyed reading your post about Rachel's class and wanted to see your first projects you posted about. The photography is great and your projects are beautiful!